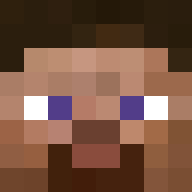 Will you bring back the competitions for SkyBlock ever again? cooltomboy and _Brokencrystal_ like this. Predictions for surprise enterances in the royal rumble? Eh... I'm hoping Kurt Angle makes his return after 10+ years. I also think Shinsuke Nakamura/Samoa Joe will come up from NXT to the rumble. I also want to see Colt Cabana from Ring of Honour but that's quite unlikely really. Oi is sid old now? Nah not this year. cooltomboy, _Brokencrystal_ and Senpai_Artic like this. A lot of people were unhappy with how the competition went and worked so out of courtesy I declined the voucher offer. Hey sid, i won third place in the SB build comp, but i accidentally started a conversation with you than posting it here. I appreciate that you guys want something but come on spamming the forums isn't gonna help. :P Think about how newcomers see this forum. NoHacksJustSarah and ArticTheArticuno like this. I think people posted #MakePrisonGreatAgain because they find earning 50% less to hard and will be to much effort, also getting higher prestiges will take ages. Hey guys, First Second and Third prizes will be 3 Legendary Keys, 3 Epic Keys and 3 Uncommon Keys (in that order). Since your in GMT like me, what time will you be judging/reviewing? @Ctrl_Alt_KaiNik I think about 6PM. Yeah your mute was only an hour long so it's definately over by now. I cant seem to get onto the server...is it down?